Baby Bassinet with Plastic Crib is manufactured with heavy round pipes. Removable moulded Plastic Crib without Joints. Body section is mounted on 10cm castors 2 with Brakes. Stainless Steel Grill at the bottom. Product Size:90 x 50 x 85 cm. 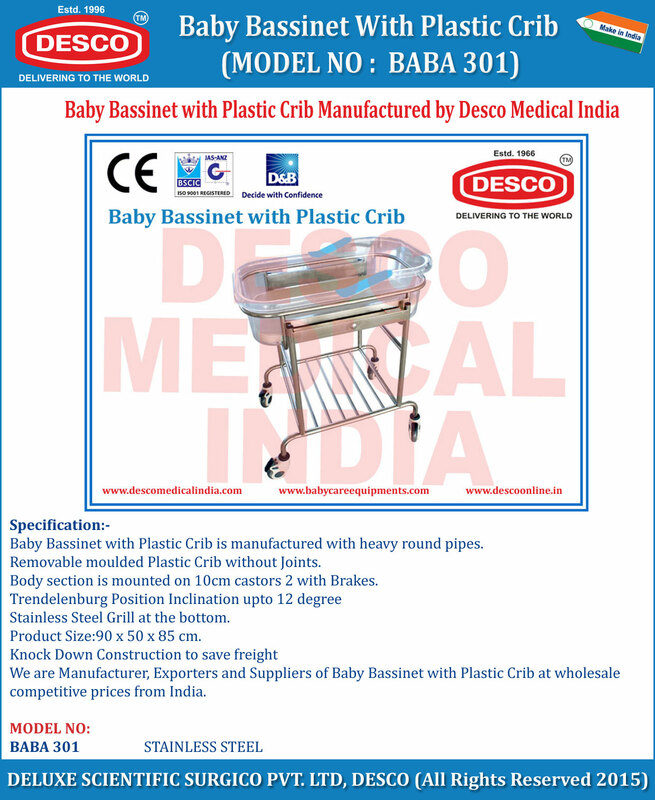 We are Manufacturer, Exporters and Suppliers of Baby Bassinet with Plastic Crib at wholesale competitive prices from India.